1 piece in 1 wooden box,2 batteries in 1 ctn. 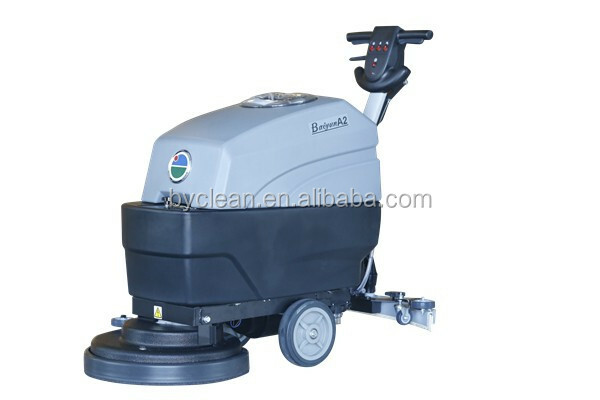 A203 A203 Push-behind Floor Scrubber The machine is designed with two large capacity lead-acid battery (80Ah), which is 50% larger than that of the similar ones. Besides, it could work for 3 hours. 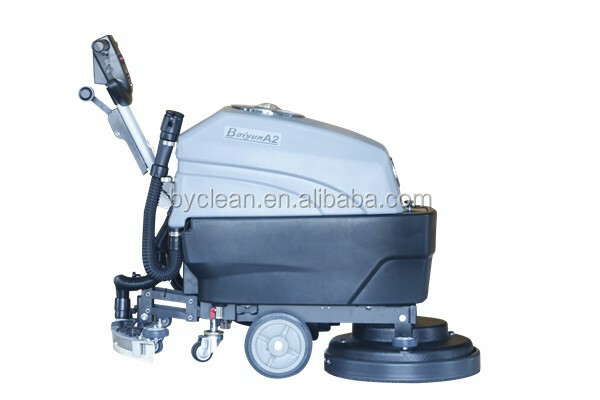 The design of the machine is based on the data of medium machine. 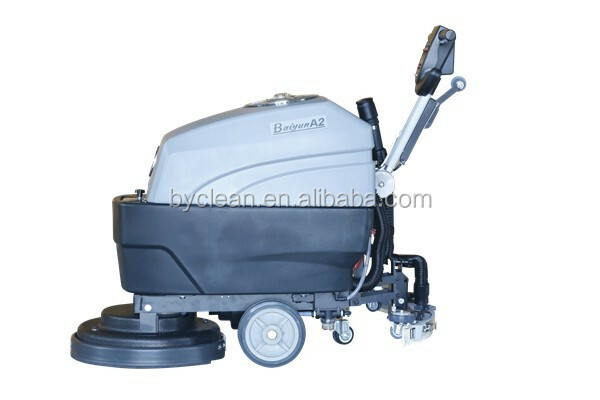 Therefore, its working efficiency is 30% higher than the similar ones. The capacity of the solution tank is 30L and the capacity of the recovery tank is 34L, which is three times larger than the similar ones. 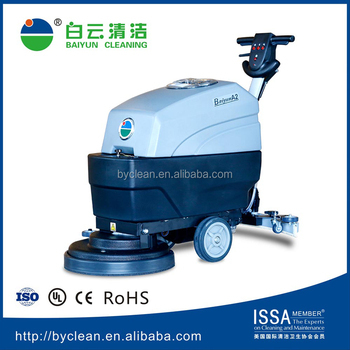 Therefore, it can reduce times of changing water and use for long time. 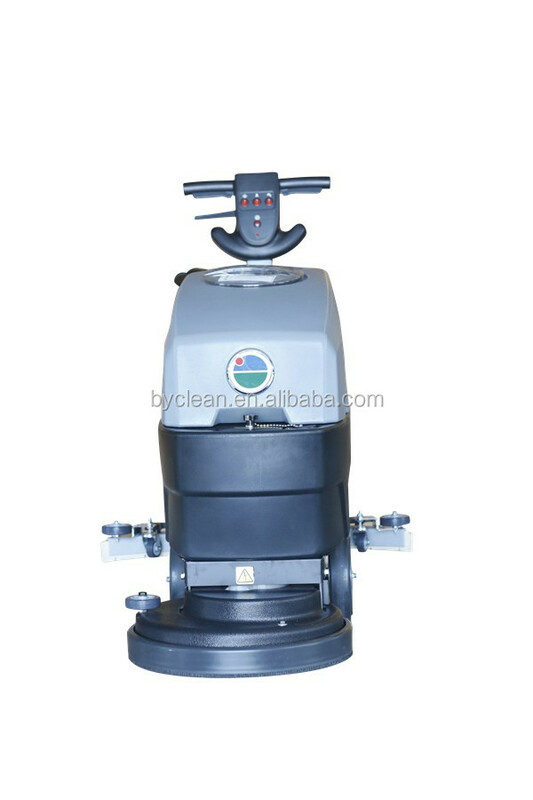 It is unprecedented that compact floor scrubber owns assembling and removing brush automatically. 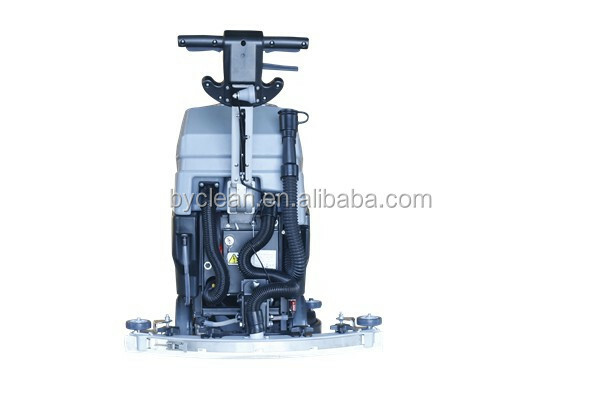 The machine is designed with disassembling parts mode. 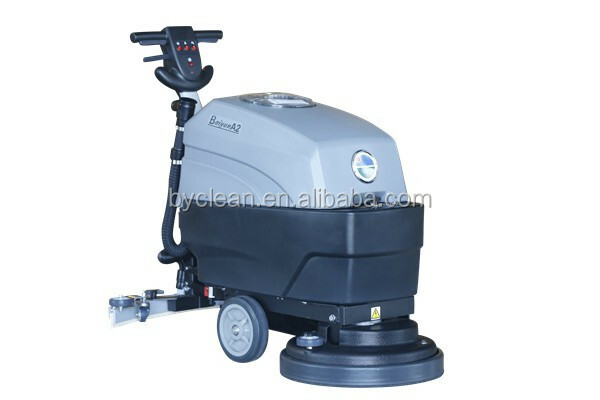 Therefore, the recovery tank can be washed and repair separately as well as keep good maintenance for long time.